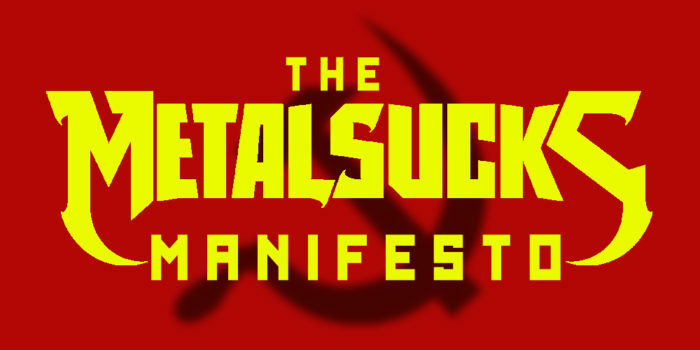 Nu-metal and metalcore website MetalSucks posted the “The MetalSucks Manifesto” today, reaffirming their stance as communist social justice warriors. Donald Trump’s triumph in the 2016 United States presidential election apparently did not dishearten their leftist delusions. A neighbor to the MetalSucks headquarters in Axl Rosenberg’s Brooklyn tenement apartment has revealed exclusive insider information to Death Metal Underground about the activities of the MetalSucks politburo of Axl Rosenberg, Vince Neilstein, and Emperor Rhombus during the week following Trump’s victory.